The school continuously educates parents on how they can play a complementary role in creating a free and open learning environment for their children. The parents are made to understand the school's core philosophy, which is premised on the well-researched understanding that the children's learning capabilities are enhanced in an open environment and not when tasks are imposed upon them. The school conducts four workshops spread throughout the year to equip the parents to play a constructive role in children’s learning. 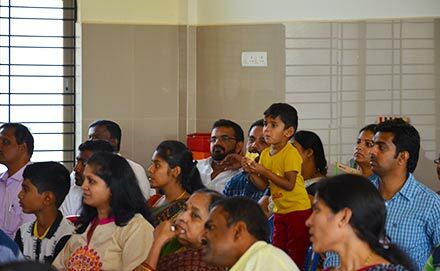 The parents need to be convinced about the school's unique learning methodology that seeks to build innate learning capabilities by providing the right ambience at school as well as at home. 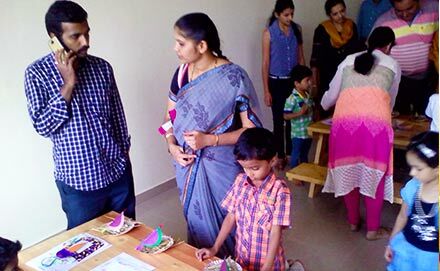 The workshops help parents engage with the school on a regular basis so that, over a period of time, they are sensitized about their roles and responsibilities in ensuring that their children explore their unique strengths and capabilities by doing things on their own. Parents refrain from asking the child to study at home. This allows them to enjoy a laid back domestic environment when it comes to their academics. Neither parents nor children have to be burdened by school pressure beyond the school campus. We make sure that all works and other activities are completed during school hours. Parents impart life skills and etiquette by engaging with their children in household chores and professional activities regularly. Children are given tasks that help them get an exposure to the real world to experiment and learn. Parents set an example and act as role models for their children. We believe parents are the primary source of learning values like kindness, discipline, commitment, compassion, etc. The school guides parents to take lead in instilling moral and social values in children by engaging them in social environmental activities. This ensures that children are moulded in a more responsible manner, making them socially conscious.